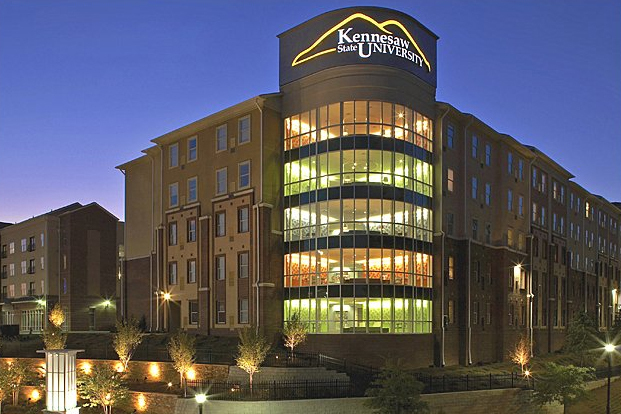 The University System of Georgia (USG) Board of Regents announced earlier this month that Kennesaw State University’s (KSU) new president would be Sam Olens, Georgia’s current attorney general. Olens has no background in education and was selected by the USG allegedly without consideration of any other candidates, even though several others applied for the position. We must ask: What was so attractive about Olens’ resume? Olens currently is serving as a defendant in a case regarding corruption at state colleges. He also has a history of lobbying against LGBT rights on behalf of the state of Georgia. Additionally, 4 of the 19 members of the Board of Regents had connections to Olens through donations made towards his attorney general campaigns, either from themselves, their families or their businesses. All these “qualifications” make his appointment look suspiciously like corruption. It is impossible to ascertain for sure the reasoning behind the choice, but it can be said without doubt that it was the wrong one. What place does Olens have running KSU? USG Chancellor Hank Huckaby said in a statement “With Sam’s background and experience, he understands how KSU and the community can work together for … the institution.” Suffice it to say that it is very unclear how any of his experience will apply in any capacity to serving as the president of KSU, unless he plans to work toward a greater student understanding of the intricacies of law. President Olens’s appointment is an example of the unilateral power of USG over Georgia institutions. Just think, if President Peterson made an unexpected departure, USG could pick a new President with no connection to Tech or any other kind of higher education. This is a frighteningly real possibility if the current behavior of USG continues. The Consensus Opinion reflects the majority opinion of the Editorial Board of the Technique, but not necessarily the opinions of individual editors.